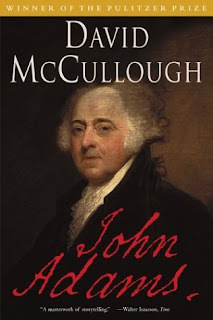 It's taken me long enough, I know, but I finally finished John Adams by David McCullough for the Presidential Challenge hosted by Jacki at Lovely Little Shelf. I originally planned to do one biography each month, but this one was heavy duty (close to 700 pages) and I took my time with it. I don't want to force myself to read these, but take my time and enjoy them and learn from them, instead of feeling like I've got to get it done by the end of the month. So, that's exactly what I did with this one. And it was wonderful! I am such a fan of John Adams now. If you had asked me two months ago how I felt about John Adams I would have had no idea how to answer you. But through reading this book I learned so much about him as a historical figure and as a person. I feel like he and Abigail are my friends. The sad thing about historical biographies is that you know how it's going to end - all of the main characters are going to die. Did you know that John Adams and Thomas Jefferson died on the same day? July 4th, on the 50th anniversary of the signing of the Declaration of Independence. 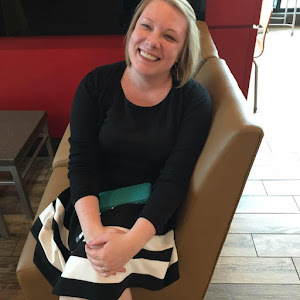 There is so much to this book that giving a quick summary isn't going to work, so I'm going to highlight four things that I found particularly inspiring from my new friend John. John Adams strongly opposed a two party system of government. He wrote, "There is nothing I dread so much as a division of the Republic into two parties, each arranged under its leader and converting measures in opposition to each other." I read this part the Friday night that the whole government shutdown seemed as if it would go into affect and it struck me as so prescient. How applicable to our own political climate and particularly to the inability for Congress to come together across party lines for the good of the people that we've recently seen! More of a personal significance to this one: John Adams found exercise, in particular daily walks, to be essential to his mental and physica health. When his son complained of feeling lethargic, John wrote to him "Move or die is the language of our Maker in the consitution of our bodies...When you cannot walk abroad, walk in your room." And it's not just something he said - as we follow him across Europe and through various diplomatic situations and ultimately the Presidency and old age, he continued to spend a portion of each day outside getting exercise. So when my alarm goes off at 6:30 for me to go walk, I've been saying to myself "Move or die!" as I'm tempted to hit snooze. As we come to an election year I find this quote to be very timely: "I think instead of opposing systematically any administration, running down their characters and opposing all their measures, right or wrong, we ought to support every administration as far as we can in justice." Like I mentioned earlier, Adams did not believe in a two party system, and, because of that, was villified in the press both by the Federalists and the Republicans. When he ran against Jefferson after his first term, Jefferson used whatever means he could to diminish Adams as a rival - but Adams never publically criticized a political opponent. Can you guys imagine how much easier an election year would be if the candidates didn't publically criticize their opponents? We might actually know where they stand on the issues and be able to have an informed vote! Crazy! My last quote relates to John Adams' spiritual life. One thing I greatly appreciated about this author is that he presents Adams' religion in an unbiased way and doesn't attempt to downplay or emphasize it. 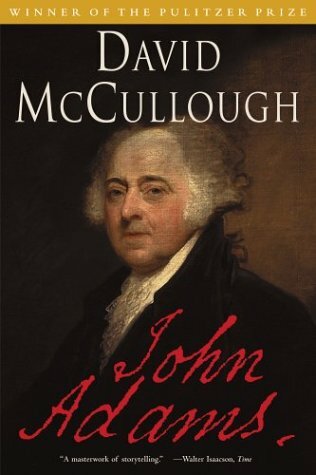 He writes about where appropriate and it is very clear that, while Adams wasn't perfect, he was a man who loved God and wanted to serve him. This quote, from a letter written to Jefferson at the end of both of their lives, describes how Adams feels about what gives life meaning: "I believe in God and in his wisdom and benevolence, and I cannot believe that such a Being could make such a species as the human merely to live and die on this earth. If I did not believe in a future state, I should believe in no God. This universe, this all, this totality [Adams writes in Greek here, but it translates to "totality"] would appear with all its swelling pomp, a boyish firework." This from the man known as the "voice" of the Declaration of Independance. At the end of his life, all he had accomplished was but "swelling pomp" without the knowledge of a life yet to come. And personally, John and Abigail Adams are at the top of my list of people I want to meet in that afterlife. This is getting very long, so let me quickly address the writing and entertainment value and then I'll be done. Excellent. Not a single flaw or criticism to be made. The author did his research, supports his research with fact, and cites his sources extensively. In addition, he brings the characters to life in a way that leads the reader to care for them as people. I will definitely be reading more by this author. He has a new fan in me. It's a historical biography, which is to say that, like George Washington, you probably won't find this along the same vein as a suspense novel. BUT that is not to say that you won't find it infinitely fascinating. There were nights when I literally could not stop reading. I felt on the edge of my seat, even though I knew what would happen next. The author is that good and the story itself is that good. If you are at all interesting in knowing the history of our country, this is a great place to start. Final Words: I recommend it to anyone. Seriously. Even if you are not a history buff and don't typically read biography, I think you may find this different than what you've experienced before. Loved it, loved John, loved Abigail, and I can't wait to get my hands on their letters to each other. Anyone have any good Thomas Jefferson suggestions? He's next on my list. Now you need to watch the HBO mini-series based off this book. Ahhhmazing! I became obsessed with Abigail and have thus read at least 5 books written from her letters or about her and John's marriage. Love! i don't even LIKE politics and this sounds really good! why aren't more politicans like this guy?? i really love how you think of John Adams when your alarm clock goes off. "Move or die!" excellent words to live by! 700 pages sounds a bit daunting, but you've really made me interested in this book! It sounds fascinating.